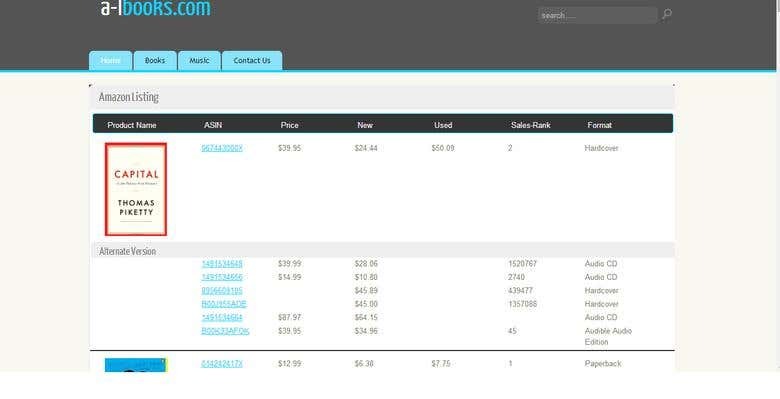 a-lbooks.com is a web application which will pull listings from Amazon on daily basis.I have used Amazon Product advertisement API to get products from Amazon. I believe in myself & confident on what I can do with Technologies. I believe in Growing my business as well as provide quality of service to my customers so that other nations can realize & belive " YES , INDIA CAN DO ". With Changing economic conditions as well as leadership of my country I strongly believe one should take steps to make DEVELOPMENT OF HIS NATION.